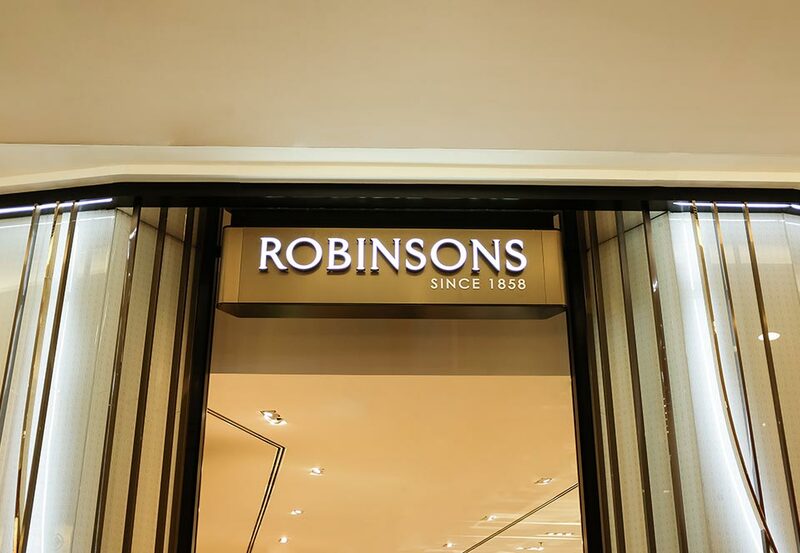 Robinsons is a Singapore based department store established over 160 years ago. 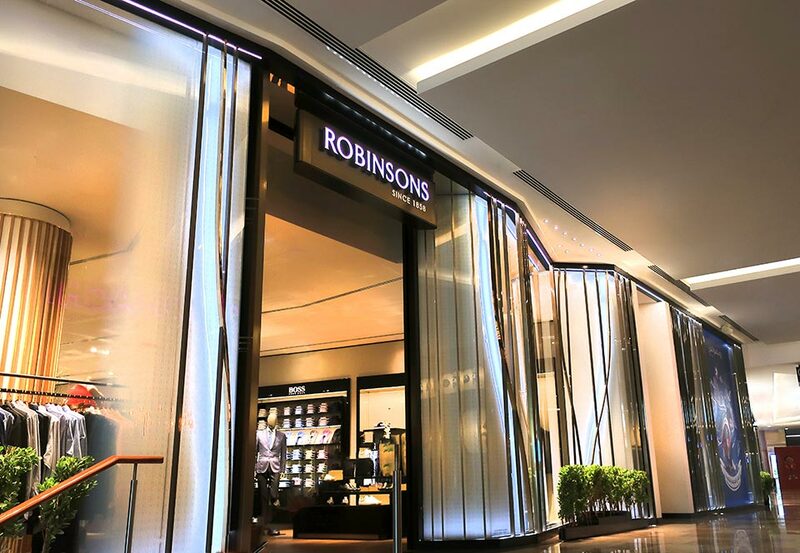 They offer a variety of luxurious and contemporary products in spacious stores and have become an iconic brand in Singapore and Malaysia. 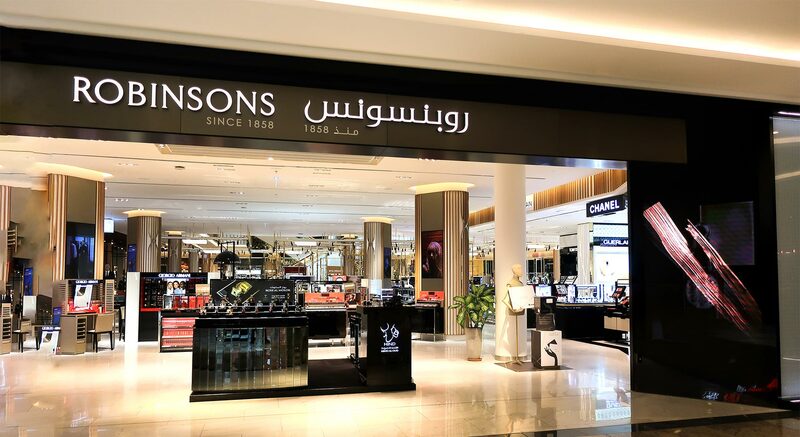 In 2008, the brand was acquired by Al Futtaim Group and has since opened their first store in the Middle East at Dubai Festival City. 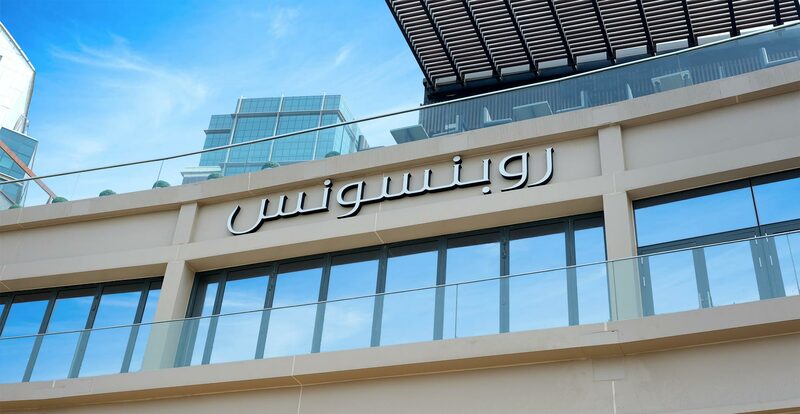 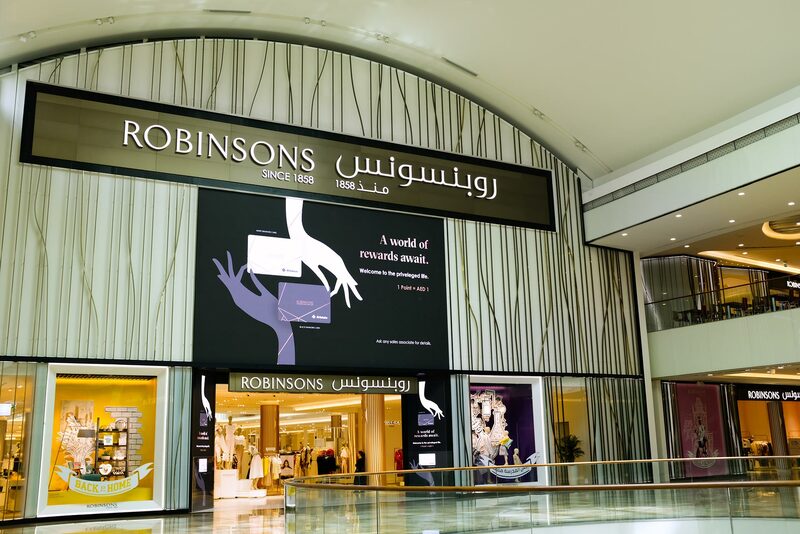 Blue Rhine Industries were appointed to survey, fabricate and install the Robinsons & Co signage in time for their opening at Dubai Festival City. 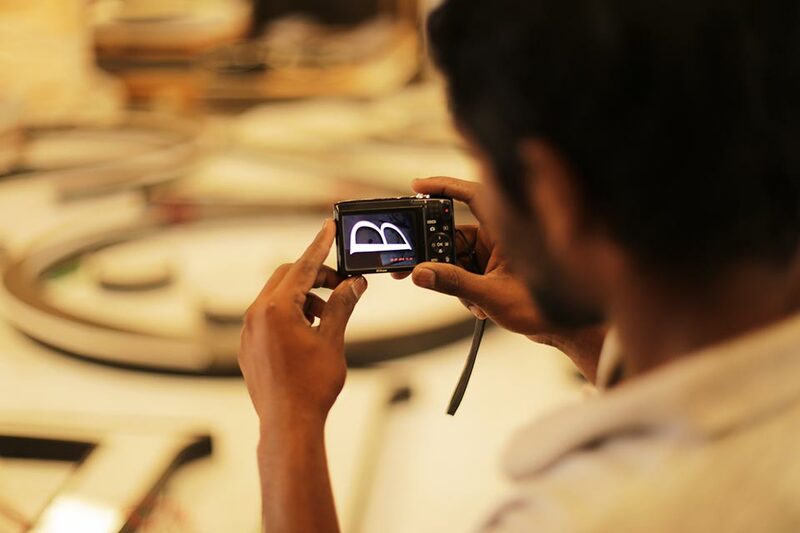 Our retail team organised technical surveys confirming all dimensional details and fixing points for the signage. 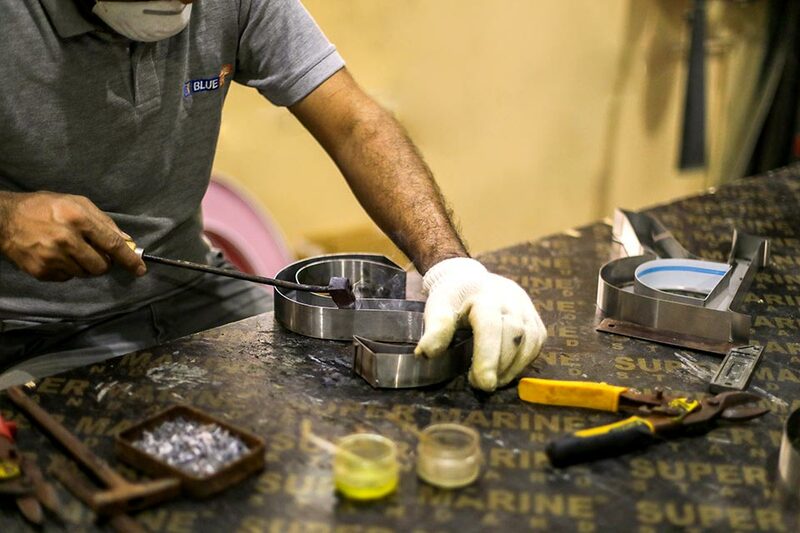 All products were quality controlled in our factory and at site after delivery. 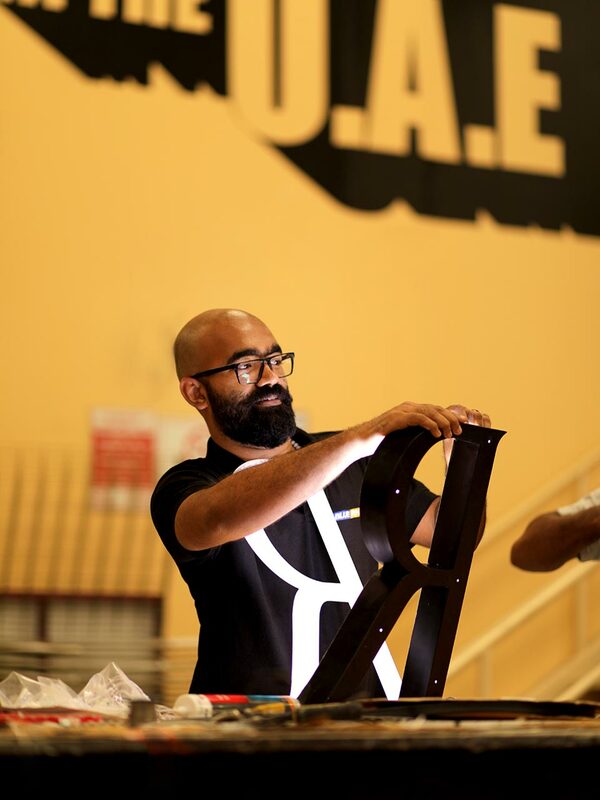 We tested and commissioned all signs once installed and delivered the project ahead of time.